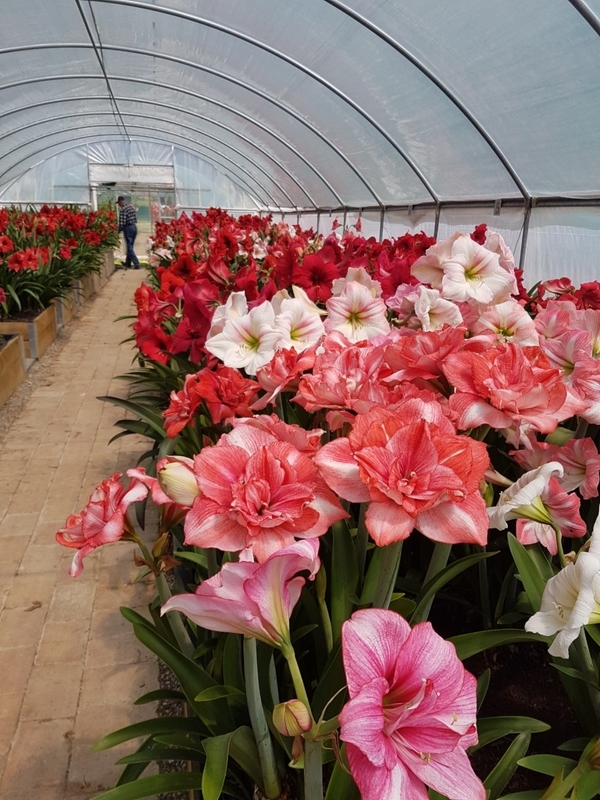 The other weekend I had a wonderful visit to an amaryllis farm in Gunning, about 50 minutes away from Canberra. I found it quite strange that the farm exists, because amaryllis are known as a warm climate plants. 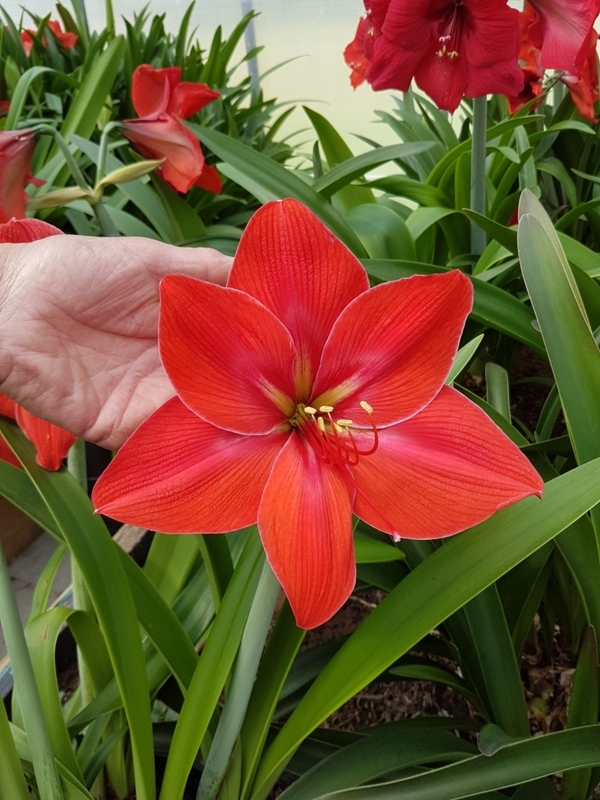 I’ve seen them in Indonesia, where it’s hot and humid, so it’s weird that amaryllis can grow in Gunning—but they do! The farm is owned by John and Jan Weatherstone, who I met at the Crookwell Garden Festival earlier this month. 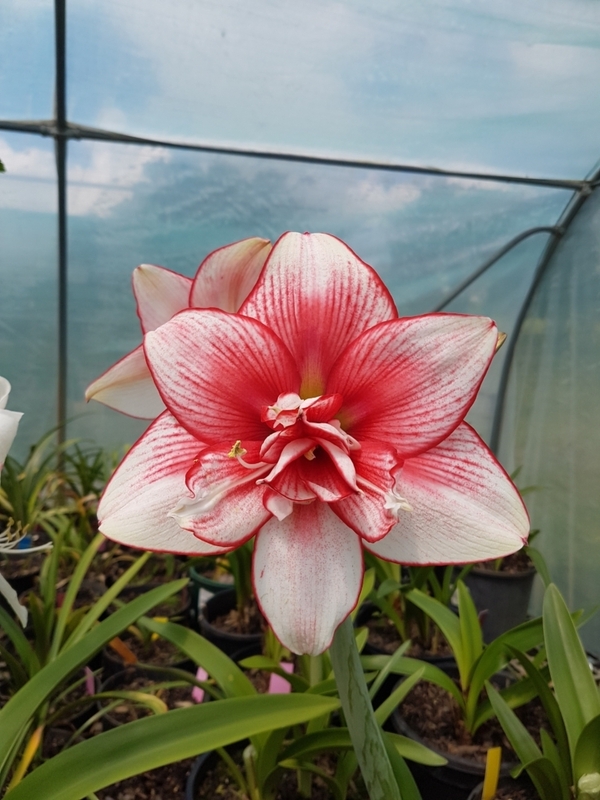 They’d brought some of their potted amaryllis to sell, and I was drawn to them instantly (both the flowers and the people!). I shamelessly invited myself to their place, and they graciously accepted. So one Sunday afternoon, I went for a drive to their farm. John and Jan showed me around and I had the best time. 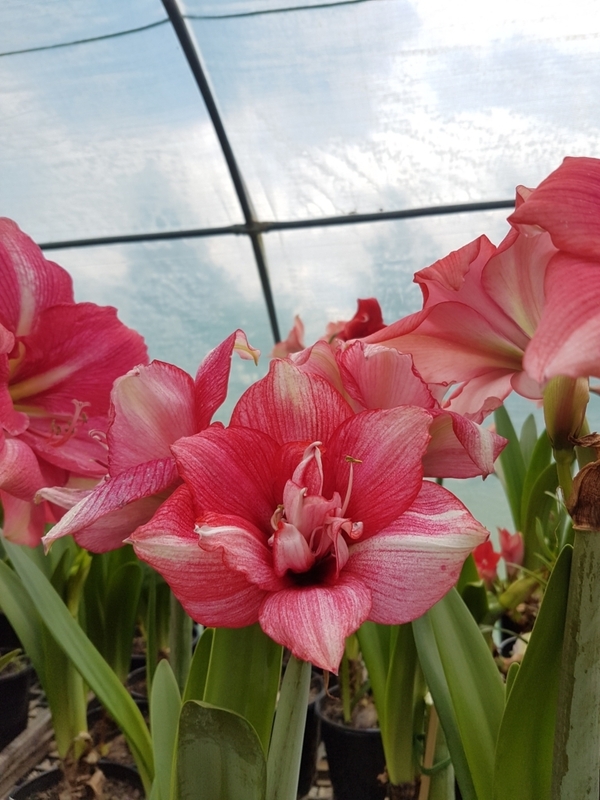 The amaryllis flowering season is very short, around two months from October to December, and it was amazing to witness the peak season of the flowers. 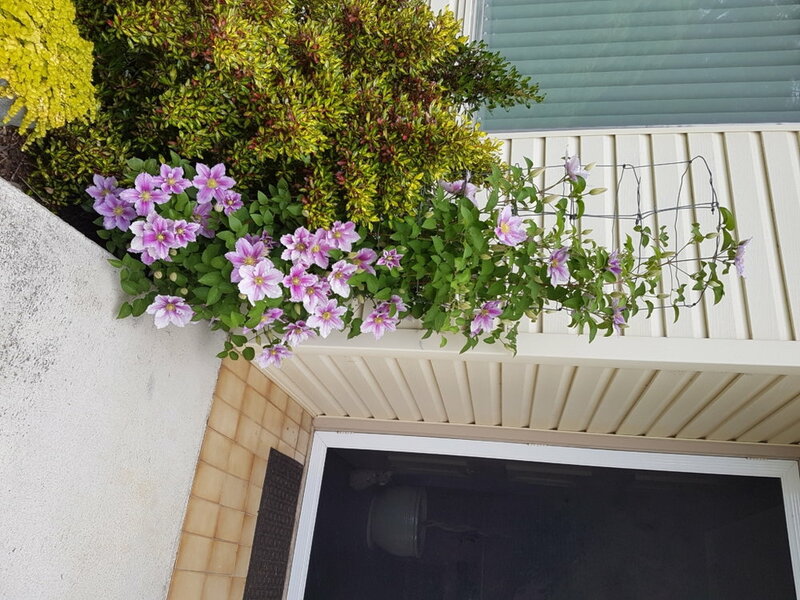 The plants were grown in garden beds that John made, and his care for them was evident from the quality of the beds, pathways and the watering system that he’s built. 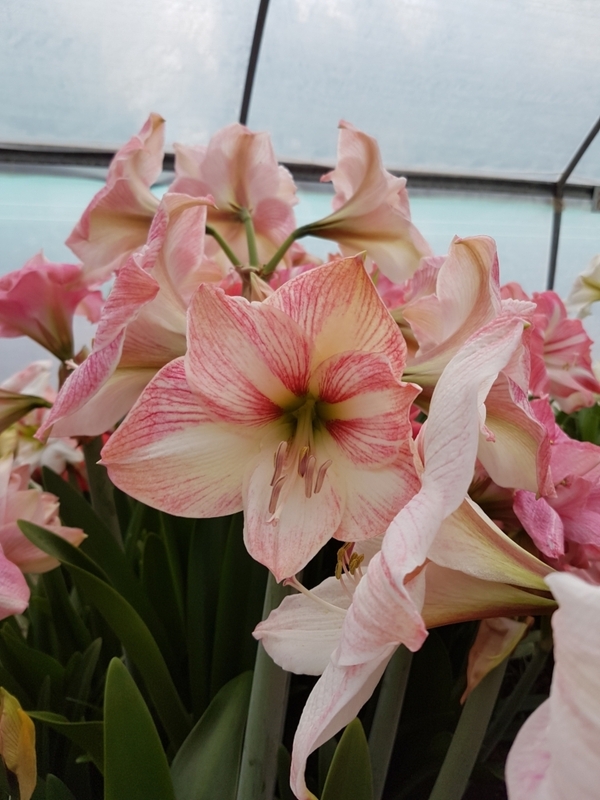 His inspiration for growing amaryllis came from his father, who used to grow them. But back then, there weren’t many varieties. 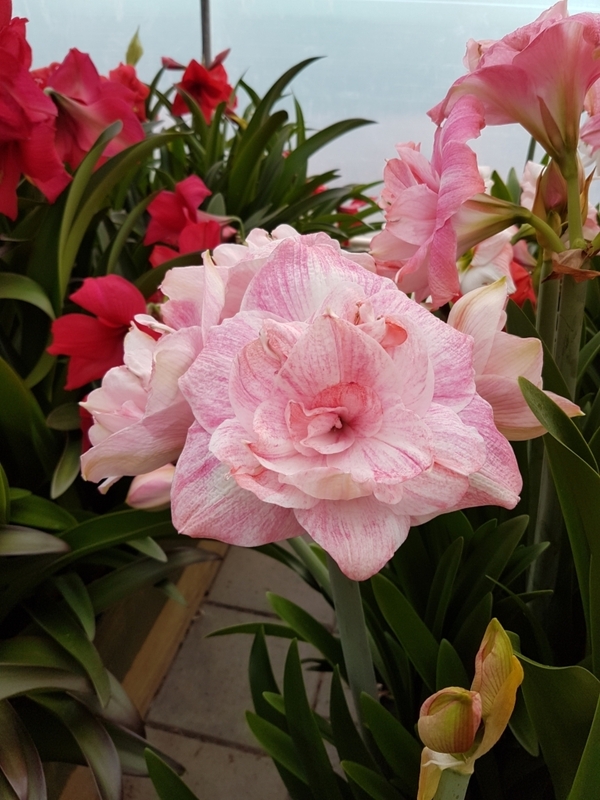 Then at a trip to the Melbourne Flower Festival a few years ago, John saw types of amaryllis he’d never seen before, with beautiful vivid colours and patterns. 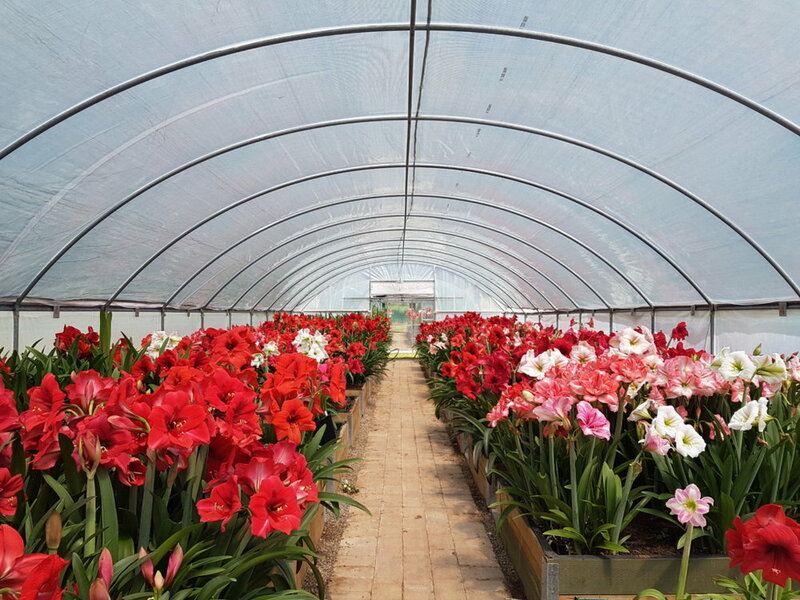 Seeing these flowers was what inspired him to start farming amaryllis. While the plants are grown for sale, they’re clearly more than that—they’re a passion of John’s. After visiting the amaryllis tents, John and Jan showed me their private garden, which was a lovely surprise. Their garden is literally breathtakingly beautiful—I gasped everywhere I looked, and couldn’t help but take a ton of photos. I was amazed at how neat and healthy everything looked. 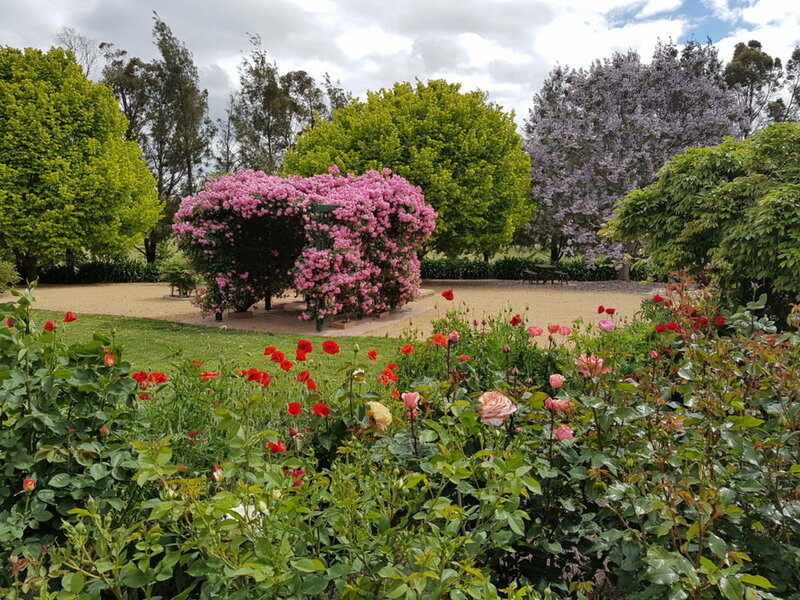 John and Jan have been very busy with the upkeep for Canberra garden club visits, and it really shows. 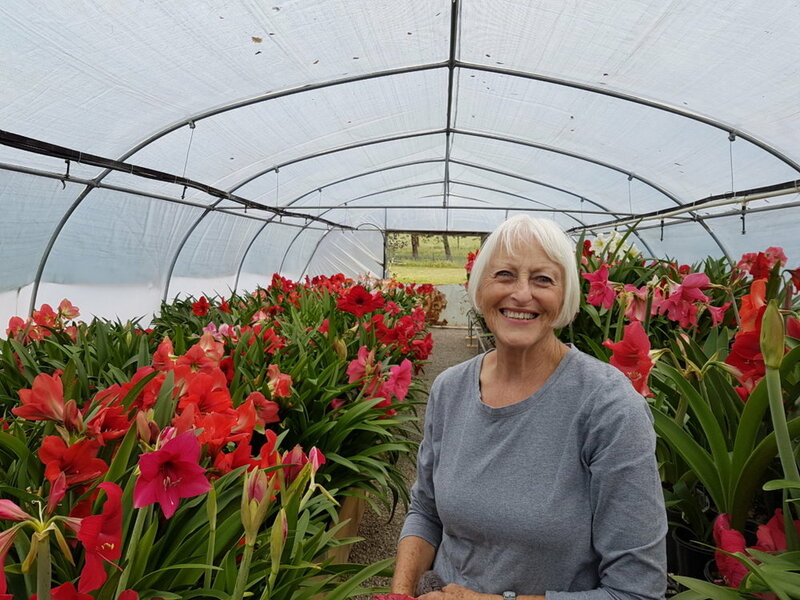 They also told me that while they sell at events like the Crookwell Garden Festival, amaryllis are difficult to transport, as the flower stems are quite delicate. 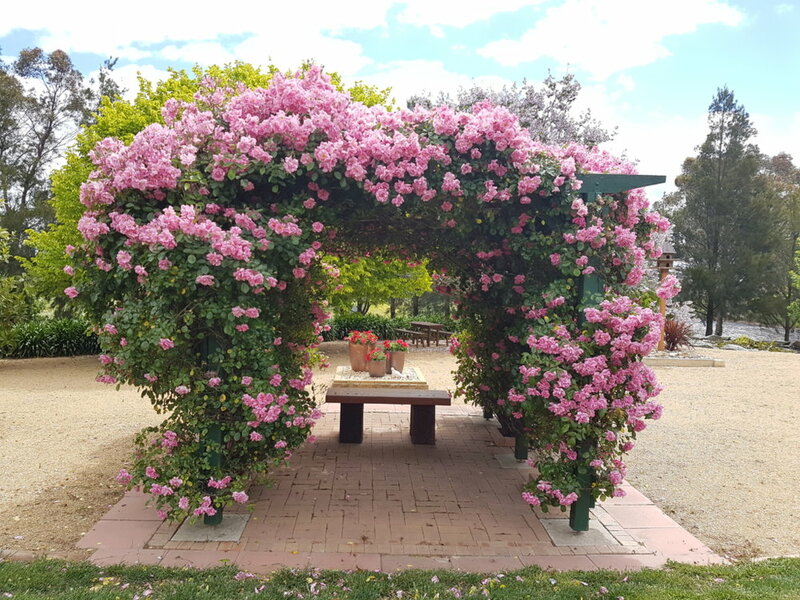 The best way to buy them is to pick them up from the farm, and John and Jan said there were a few Canberra garden clubs that regularly came to view their private garden and buy plants directly. 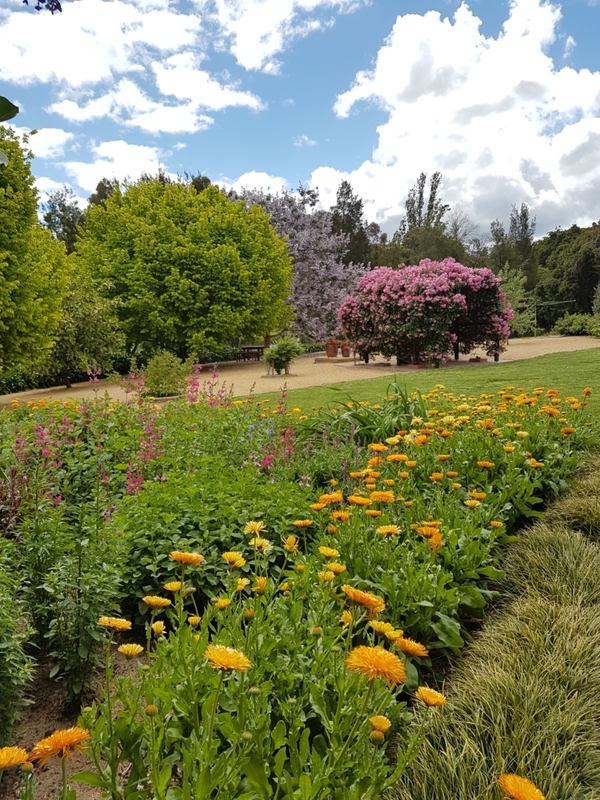 After our walk around the farm and garden we continued our conversation over a cuppa in their dining room, which overlooked their gorgeous garden. Jan told me she loves sitting there and watching the birds that visit the garden. It was so comfortable and beautiful I was very much in danger of overstaying my welcome! But I eventually had to leave, especially as I was playing piano at church that night and hadn’t even looked at the music! 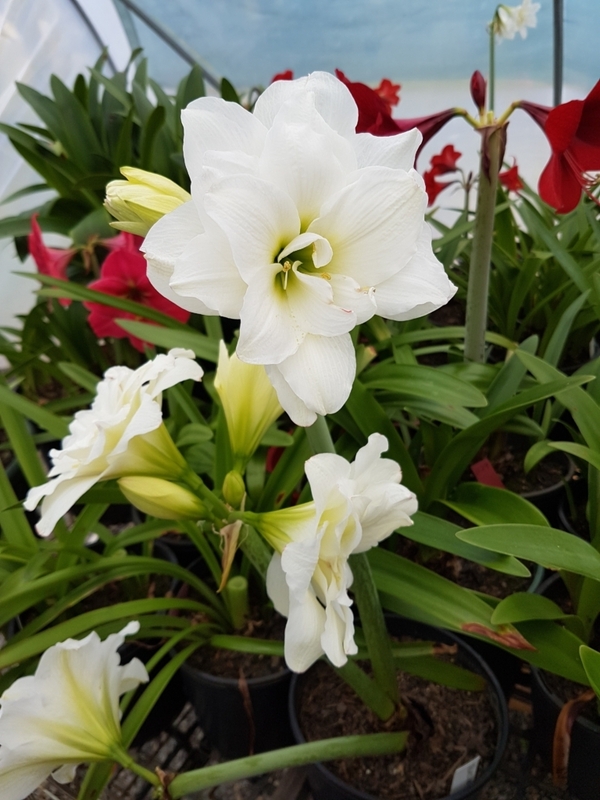 If you’re interested in visiting the farm and buying an amaryllis plant for yourself, John is happy for people to call him to organise a visit. You can contact him on 0438 451 282.